EKSU admission list for 2018/2019 academic session is out for checking. So, the Ekiti State University (EKSU) 2018/2019 admission list has been released and published online. Candidates that applied for admission into the Ekiti State University should take note. The management of EKSU has released the 2018/2019 admission list. You can now go online to check your EKSU admission status online. The steps outlined in this post will help you in checking. 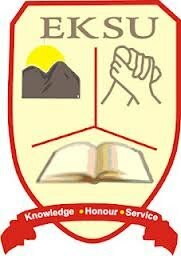 The first batch admission list of Ekiti State University can be checked using the steps below. The list contains the names of candidates who have admission offer into EKSU for 2018/2019 session. Firstly, go to EKSU admission status checking portal at https://eksueportal.eksu.edu.ng/site/admission-status. Enter your JAMB registration number or Form number in the required boxes. Finally, click on Search button to view your EKSU admission status. Candidates who see their name on the admission list should accept or decline the admission. See how to accept or reject admission on JAMB CAPS portal. Alternatively, the admission list can be checked on JAMB admission status portal. Firstly, candidates should go to jamb.org.ng/efacility and login to your JAMB profile with their username and password. Scroll down the page, find the ‘Check Admission Status‘ tab and click on it. Finally, click on ‘Check Admission Status‘ to access your 2018/2019 EKSU admission status. If your name is not on the list, keep checking back on the JAMB CAPS as they keep updating the list. Finally, we congratulate candidates whose names appear on the ESKU admission list!